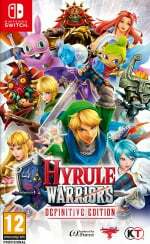 Hyrule Warriors: Definitive Edition is the latest adventure featuring our favourite Link and Zelda. 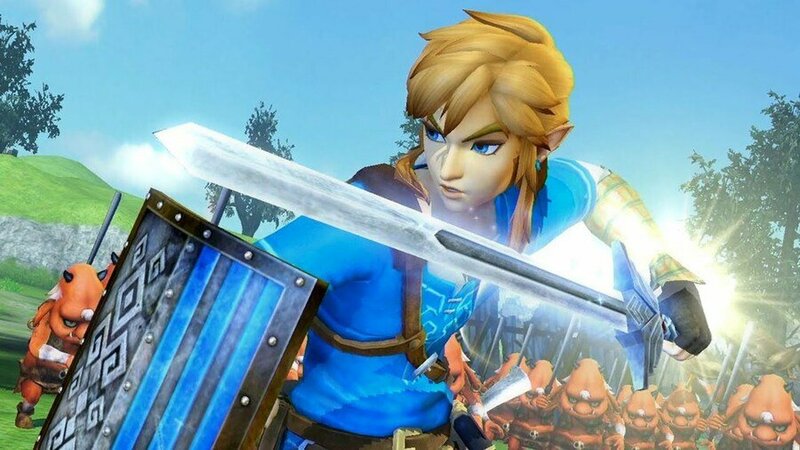 You'll battle across the face of Hyrule alongside popular returning characters from the franchise. Ever wished you could get a taste of what it's like to be Ganondorf? This is your chance. 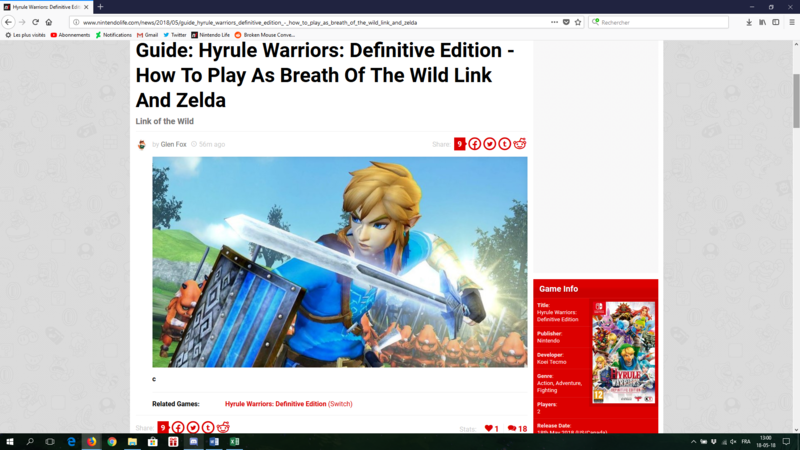 Those who first experienced The Legend of Zelda on Switch (don't be ashamed – we have to start somewhere) will probably be a little confused by Link donning a green outfit. This is Link's traditional outfit he's worn since the original on the NES, which was shifted to a blue number in Breath of the Wild. Similarly, Zelda is more like a traditional princess in this iteration, wearing a flowing dress. That's a far cry away from the battle-ready version we're more recently accustomed to. Fear not though, for Link and Zelda can still take their Breath of the Wild forms in Hyrule Warriors. In this guide, we're going to show you how to equip it so you can carry on your adventures in style. Fortunately for you, it's surprisingly easy to unlock Link and Zelda's appearance from Breath of the Wild. First, you have to unlock these characters as playable characters. You'll get Link after completing the first mission, but you'll have to wait until much later in the game to unlock Zelda. Once unlocked, you can select their Breath of the Wild costumes just before you enter a mission. 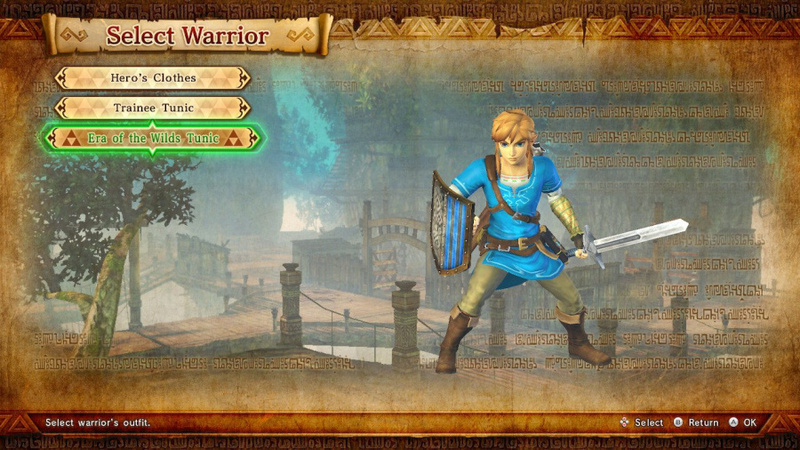 Select a mission, hover over Link or Zelda when selecting the heroes to bring with you, and press 'X to change costume. In the next screen, you'll find an option to switch to the Breath of the Wild costume. Simple as that! I see C... C everywhere.... C what I did there. I hope this doesnt blow up as much as on your partner sites. Please dont write 58 guides towards a single game, like VG247 always tries to stay relevant by posting 52389 Destiny 2 News a day and Push Square going all out on Bloodborne just because it got high on the google trends. I can't see a scenario in which I'll ever once use BotW Link. Just not remotely a fan of that design. BotW Zelda's fantastic, though. Probably use her all the time. This will have the most hits of any article ever posted here - everyone clicking back to see if it’s been updated.... clever tactic. What does the C stand for? Cheating the system to get more hits on your website? Complete the game to get the costumes? This needs a guide? Don't you just need to select the costume before you start the stage? Everybody only sees's the C. But what do you get when you flip the C backward? C is the first letter of... CGanondorf! That's it!! Man, I never would have found out about this if it wasn't for this extremely informative guide. C to you too, NL! It may be fixed now, but what goes on the internet stays on the internet! If you want to "C" what the other comments are about, just look at this, hehe! NL preparing everyone for the d, apparently. Now I do see but no longer see the C.
X is the key and not C.
@antdickens I hope Sega Ages brings the House of the Dead games to Switch. My whole reason for wanting a Dreamcast initially. thx but how about telling me how to take this arthropod in story mission 3? seems like his big eye but he close them when I shoot, help. At least it ain't a hard rewards map item. @parasnail dunno, hookshot? I’m picking mine up in a couple hours during lunch. This is more useful than those Bloodborne guides on PushSquare, thx. I hope we get more of these. Stuck on the title screen. Not sure what to do next. Desperately refreshing this page and hoping for the answer. I typically avoid guides, but man, this game is difficult. Just waiting for the Nintendo Life official guide to how to take the game card out of the box, published a week after the release of the game - like the DKC : TF guide they released a week after the game when I was already on world six! @HobbitGamer at last finished it after couple of tries , the monster need to be focused (with R) and after it attacked with it's laser eye thingy, it turns blue Color for a second then you just click ZR to bow shot it the monster goes into stun and only then you can reduce it's HP, this needs to happened couple of times in the meanwhile you need to keep the other heroes handling the map or else the mission fails. after completing this mission on normal I have at last understanding on how the warriors method works with feels great. As far as I know you unlock Zelda and most of the characters after the first mission of legend mode. @Yosheel I think for story purposes she unlocks after the Ocarina of Time portion of the story. C what you did there. It's not an unlockable if it's available from the start (just by going to the costume select menu). Need some bananas for my ears, apparently we’re on C-Island. I knew Link's traditional garb was green, but blue really suits him. This is very helpful share for those players who are now nothing about the features of this game and want to learn. Now thy can also learn https://australianwritings.net/ skills from online professional writers of world in their home places. There is definately a great deal to know about this subject. I like all of the points you've made. web designer in dubai. high speed web hosting try out hostagtor web hosting with Hostgator coupons code to get extra discount. Your blog gives an article about overseeing vulnerability in WUI crises, you giving a fundamental finding two or three game plans concerning this article. https://vucutguzellik.com/ So here I give marvelous data about anything that is identified with centrality care things. Which gain a heap of information about related blog.